THERE could be many one-legged people in TT who will be living off of taxpayers in the near future, if surgeons continue to amputate limbs of those afflicted with diabetes at a rate of 500 a year. The warning came from well-respected vascular surgeon Professor Vijay Narayansingh who said this country with a population of 1.4 million, ranks as the fourth highest in the world in terms of annual amputations due to diabetes complications. This revelation, given at a diabetes forum on Sunday at the Eric Williams Medical Sciences Complex in Mt Hope, left many in the audience visibly stunned. Prof Naraynsingh said it costs taxpayers $1 billion a year to provide support for the upkeep of people living with diabetes. Narayansingh said one-third of people who lose a leg due to diabetic complications, are likely to die within a year of surgery. This is due to the fact that they become less active and controlling their diabetes becomes burdensome. It leads to cardiac and kidney problems, he added, which eventually leads to the other foot being cut off and eventually death in a short space of time. What are the knock-on effects of such surgery? Naraynsingh said a diabetic amputee does not leave hospital within a reasonable time. The country’s support services are kicked in, another set of drugs must be administered. The patient must be counselled and managed by the health care system. “Then there is loss of income in the family which now becomes dependent on the State,” Narayansingh said. 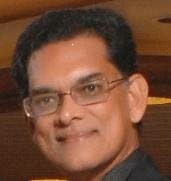 Andrew Dhanoo, president of the Diabetes Association of Trinidad and Tobago, told Newsday that he was indeed alarmed by the revelation of 500 amputations yearly and added that when one adds other surgeries done because of diabetes, the statistics become frightening. Reply to "Diabetes taking toll on TT"